Recruitment Executive Job Openings in Wipro BPS On 14th to 17 Feb 2017. 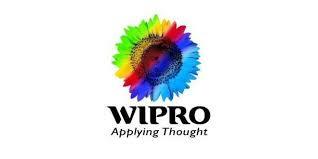 Wipro BPS Job openings for Graduate students as Recruitment Executive. Applicants must have Graduate in any discipline with excellent communication (English) skills. Interested and eligible candidates can refer Wipro BPS Placement Papers which will be helpful for the Applicants to prepare well and ace the test easily. As the last Date is fast approaching For Wipro BPS Company, candidates can start their preparation by checking out MNC Online Test patterns which will be very useful for the Applicants. This will be a good opportunity for those people who wants to get a job in IT Sector. Candidates can utilize this opportunity to set career. Contenders are also suggested to check the Official Notification to avoid further Complications. Salary INR 1,50,000 – 1,75,000 P.A. Collection of Document as per requirement. Wipro Limited (Western India Palm Refined Oils Limited or more recently, Western India Products Limited) is an Indian Information Technology Services corporation headquartered in Bangalore, India. In 2013, Wipro demerged its non-IT businesses into a separate companies to bring in more focus on independent businesses. We hope the information provided on Wipro BPS Recruitment is helpful for your job search. If this job doesn’t suit you then you can look for more Freshers Jobs in our Website. Keep visiting All India Jobs for regular Job Updates, off campus drives, walkin interviews, referral and many more.